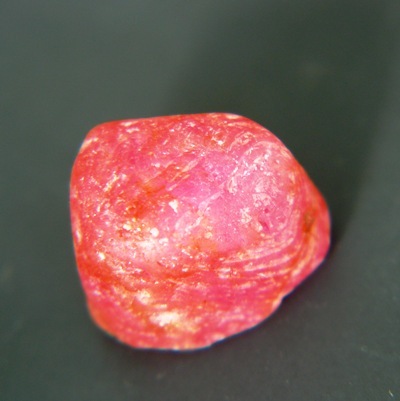 Comment: Here is a first-time special: Ruby from Guinea. 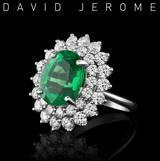 I picked this crystal because of its flawless character and, with its dome shape and flat bottom, because it will sit nicely in a gent's ring. DSEF certified unheated and translucent (not opaque). 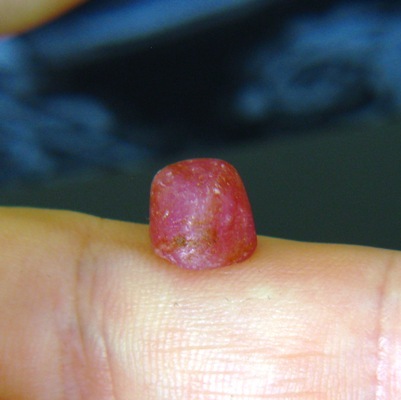 Great opportunity if an unheated six carat faceted ruby happen to be out of budget. On request we could cut and polish it into 100% symmetry or even a sugarloaf shape. As you can see in the (unadulterated daylight-only) images it has a perfectly fresh red hue and no flaws or inclusions. 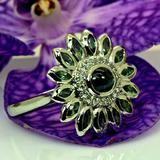 Ask us for design ideas as ring or pendant.